Dental health is not about caring only the teeth. The gum also requires equal care and concern. Gum is a safe platform for the growth of plaque and bacteria. Poor oral hygiene and other health condition may affect the health of the gum too. These bacterial accumulation causes gum infections and other problems. As a result, your gum may bleed. Some people have sensitive gum which bleeds easily. The traditional method was to remove the plaque from the root surfaces using sharp instruments. This is called scaling and root planning. 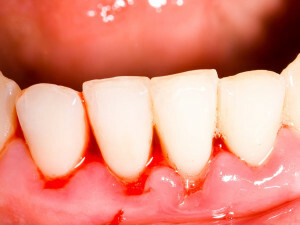 When the condition becomes severe, it may not be enough to scrape off the plaque. Surgery is advised in such cases.